The perfect luxury coach will be now guarded by a new guard. 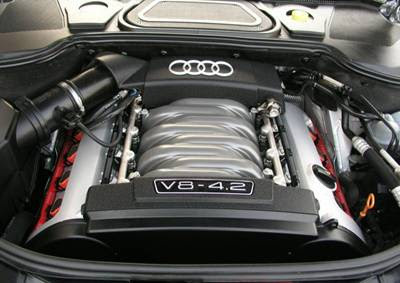 Now the Audi A8 will be guarded by a new fuel in its engine i.e. diesel. 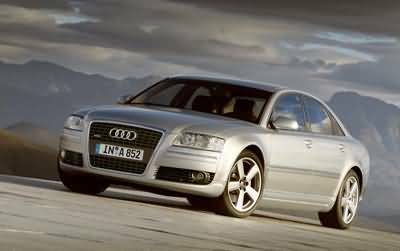 Audi A8 will be exhibited in Indian Auto Market for the first time on 10th Jan 2011. In India the car introducers promises to give full comfort, high performance and best luxurious car ever introduced. When the car was introduced for the first time on the roads then this car was tagged as the worlds first largest luxurios diesel car. Its interior fittings is more that that we expected on the nme of audi’s or can say its more as we expect The ample corners with the spacious deskboard gives the car an admirable look. Refined and capable ZF box with Handwriting recognition including entry at lower cost will be the most likable features of Audi A8. There are still some features in the car which are on average and not so much likeable such as Ergonomics and the styling which is not so descriptive with rear’s marginal room. 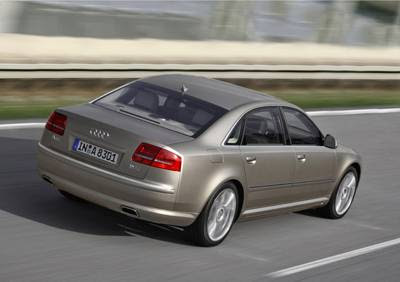 But if u ignore these some minute points then the Audi A8 proves to be the best Diesel luxurious car. AUDI recons that cororepati luxury car buyers are as concerned about their fuel bills as the rest of us. So, it comes a diesel engine in the company’s flagship luxury barge, the A8, which was available only with a petrol engine uptil last month. At Rs74 lakh (ex-showroom,Delhi), the 3.0 TDI costs a whopping Rs11 lakh less than the petrol car. Add to that the lower running costs of diesel, and its immediately evident why Audi has brought this version in. The diesel is a 3-litres V6 unit with 250bhp of power and 56kgm of torque. The diesel engine scores well for refinement. At cruising speeds, its difficult to gauge which fuel is actually powering the car; its that smooth. However, the A8 lets in a bit of road noise over coarse surfaces. Power is delivered in typical diesel fashion. You get a massive blast of torque once past 2000rpm all the way to 4000rpm, pushing you into the back of your seat. You get an eight-speed automatic gearbox with well-chosen ratios that ensures you are never left wanting for power. Zero to 100kph comes up in a brisk6.3sec, and in-gear acceleration is just as generous. The dash from 20-80kph comes up in 4.40secs, making this a great car for those highway overtaking moves. The A8 gets Audi’s famed Drive Select system that provides a pretty supple ride when you select Comfort mode. However, sharp bumps can still send the odd shudder through the cabin (and those onboard). It also doesnt feel as well planted as other rivals, thus offering a floaty feel. Shift into dynamic mode and the controls feel tauter. In most settings, body control is good for such a big car. While the steering wieghts up with speed, it is devoid of feel. Step inside and you will love the sophisticated cabin, equipped with the best materials. Everything shouts class and the centrally mounted analogue clock adds to the classy appeal. Attention to detail is phenomenal and everything works with slick precision. There’s plenty of space for four six footers, and all the seats are comfortable and supportive. The boot is a decent size at 510 litres, although its a bit short. A huge range of electric seat and steering wheel adjustments makes it easy to get comfortable, while Audi’s MMI control system keeps clutter to a minimum by letting you access most functions via on screen menus. The A8 also has a touchpad that lets you write your destination into the sat-nav, so you can programme it without taking your eyes off the road. Overall, the diesel A8 limo is ideal for those who want an opulent and tech-laden cabin with frugal diesel costs.